How to explain who Hatsune Miku is? She's a fake Japanese pop idol, a video game character with a cute face and turquoise hair, and a self-conscious voice synthesizer with the persona of a spunky young female. Every street I walk through in downtown Osaka, this girl can be found slapped on the cover of a magazine or advertising for some new soft drink on a vending machine. Obviously she's very popular. The young girl who's not really even human enjoys the attention of entire demographics of Japanese kids and adult gamers alike. 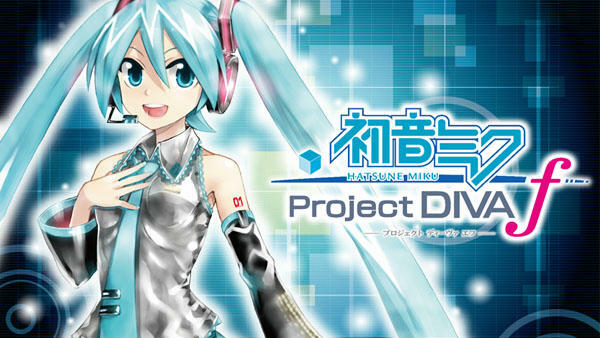 In fact, she's so popular, the release of her latest PlayStation Vita game Hatsune Miku Project Diva f has sent the struggling handheld to the top of the weekly charts, beating out its main competitor, the 3DS, by 6,000 units. Miku's game itself sold a whopping 150,000 after one week of sales, tripling the highest 3DS game on the charts. Again, I'm not entirely sure where the appeal comes from, but its kind of sad that a fake pop idol did what popular games like Uncharted and Rayman were unable to do, put the Vita on the top of the sales list. Full sales list below.